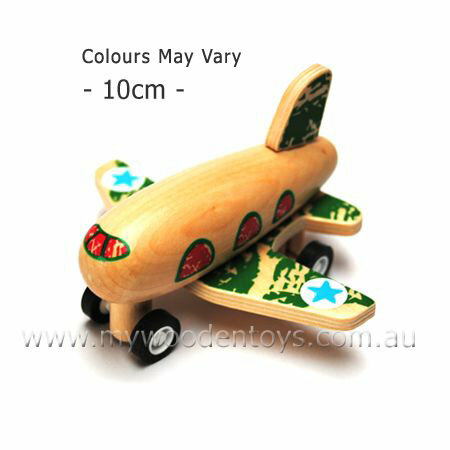 Wooden Pull Back Clockwork Plane is a clockwork wooden toy plane which is wound by pulling it back and letting it go. This is a well made beautifully smooth toy which moves very fast and runs for a satisfyingly long time. This little plane has rubber wheels so it grips well on smooth floors. A lovely design this toy reminds me of how little children draw aeroplanes. Material: Wood childsafe paint, clockwork motor. We like this because: "Such a lovely shape. " I received my order this morning, I am very happy with all of the items I purchased and the postage was very quick. Thank you so much for your wonderful service, I look forward to shopping with you in the future.